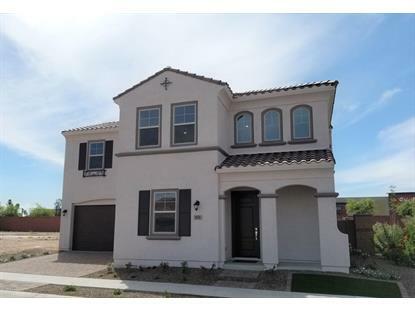 for $363,990 with 4 bedrooms and 3 full baths. 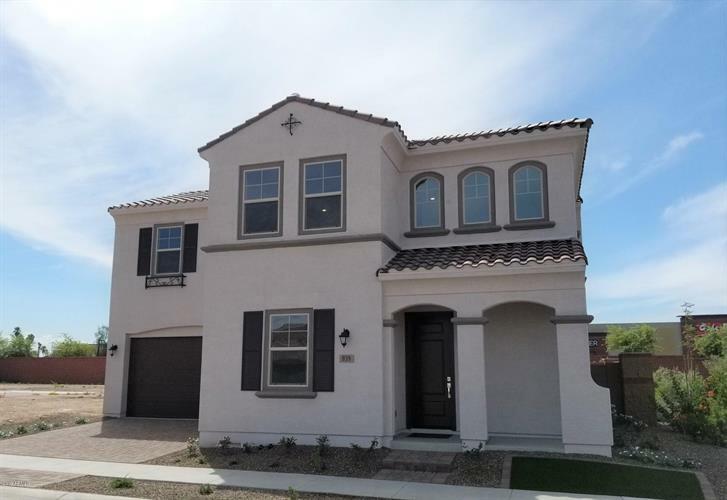 This 2,200 square foot home was built in 2019 on a lot size of 2856.00 Sqft. BRAND NEW HOME READY IN JUNE, 2, 200 SF, 4 bedroom plus loft, 3 baths, 2 car garage, white cabinets, quartz countertops with subway tile backsplash, gas range, built-in microwave, 12 x 24 tile floors, upgraded carpet, walk in super shower in large subway tile at master bath, quartz tops with undermount sinks at bathrooms, framed bathroom mirrors, 9' ceilings, 8' entry & interior doors, coach lights, private paver driveways with 8' garage door & opener, Smart Home, Wifi Certified, Ring doorbell, keyless entry, fan pre-wires, paver patio, block walls, gas tankless hot water heater, multi zone wifi thermostats! This beautiful gated community boasts a resort style heated pool and spa! HOA maintains the front yard landscaping. Some pictures are of the model home.